Proper bedknife maintenance is a critical element in establishing high levels of cut quality across a wide range of golf course conditions. Frontier's Model BG1500 Semi-Automatic Bedknife Grinder is up to the challenge. 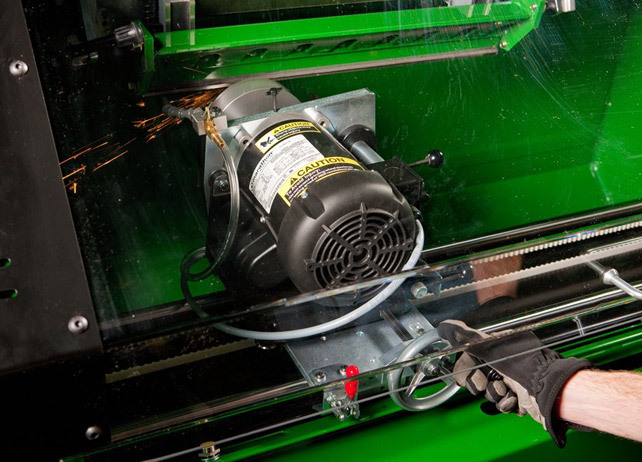 Featuring a secure and accurate bedknife mounting system that provides quick and convenient changes from grinding front angles to top angles, the BG1500 can maintain bedknives to any manufacturer's specification or golf course preference.